Active humbucker set voiced for the Symphony of Destruction. For years Dave Mustaine, the legendary charismatic leader of Megadeth, relied on our passive JB and Jazz humbuckers to record some of the most influential riffs in the history of Metal. But like most extreme players, eventually you just want more.We worked with Dave to voice a set of active humbuckers that deliver the distinct tonal character of the JBJazz combo but with extra ferocity and gain. 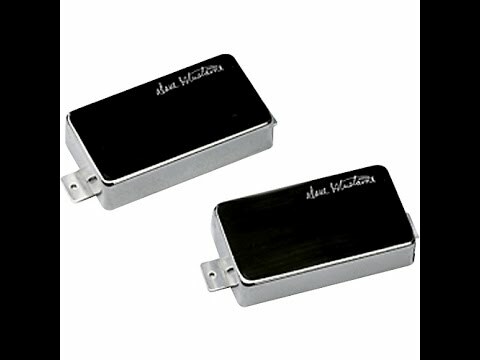 The Dave Mustaine LiveWire set is perfect for players who want to try active pickups without drastically changing the tone of the passive pickups theyve become accustomed to. The smooth upper midrange crunch of the JB and the articulate warmth and clarity of the Jazz neck remain intact while the custom tuned active preamp delivers the increased output and touch sensitivity only an active pickup can provide. 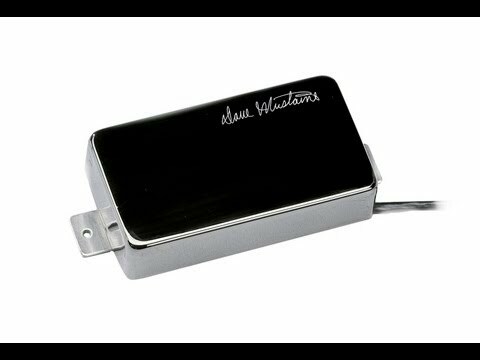 A unique covered passive humbucker look embossed with Daves signature also ensures these will look and sound great in any guitar.We include pots, mounting hardware, capacitors (active pickups require a special cap value), battery clip, stereo output jack, and wire needed for installation. Danny Young demonstrates the awesome power of the Seymour Duncan Dave Mustaine Livewire Set.